New Jersey has certainly been expanding its range of online gaming options in recent times, and that’s much to the benefit of the state’s players. 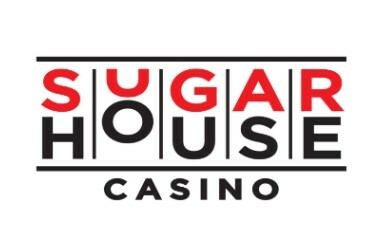 As it stands, a woman from The Garden State recently claimed the biggest jackpot on record, that is offered by Philadelphia’s SugarHouse Casino. This company began operating as a land-based casino, but also moved to the online world in New Jersey once it became legal to do so. The woman, who wishes to remain nameless, lives in the community of Sewell in New Jersey and when she placed a $2 bet last Thursday, she hit the jackpot total of $287,945. Her game of choice? Netent’s Divine Fortune progressive jackpot slot game. What makes things a little bit more exceptional, is that the woman was supposedly busy at the time taking a conference call relating to her job. However, upon winning the huge sum of money, she posted in a chat room that she had hit the jackpot, obviously not able to contain her excitement and needing to let it out in some way right then and there. The jackpot win marks the biggest prize won in the state at the casino since it began its operations there back in 2016. It’s not the first time that Divine Fortune has paid out large amounts, but the last time it did, the highest amount it paid out was $193,737 altogether. This remained as the largest win at SugarHouse Casino until this woman’s achievement last Thursday. Divine Fortune is one of the more recent progressive jackpot slots that Netent has released, and it incorporates the theme of Ancient Greece into its reels. It has a five reel, three row setup and contains various mythological creatures, including the griffin, the minotaur and Medusa. A total of 20 pay lines exist within the game and in order to win a progressive jackpot, you need to trigger the bonus game round. There are three of these available to claim – a minor, a major and a mega jackpot. The SugarHouse Casino picked up a decent following once it opened its virtual doors in 2016. If you decide to play there, you’ll be welcomed with an inviting bonus package of up to $500. Plus, the site offers up games from a selection of different developers. Joining the previously mentioned Netent, you’ll also find titles from companies like IGT and Nyx Interactive. Plus, you can access the casino from a mobile app – just as the recent big winner did – allowing you to take its lobby with you wherever you go. One thing is for sure – with the expansion of the online gambling scene in New Jersey and potentially across the United States, this leaves room for even more big winners to be American citizens. Time will tell when Divine Fortune will create its next victor!